The news that London-born Ye Ming Yuen will be flogged for drug offences, committed in Singapore, will rightly strike most people as archaic and barbaric. Alongside his 20-year prison sentence, the 29-year-old will be stripped, strapped to a wooden table, and beaten 24 times. Yesterday’s criticism by Foreign Secretary Jeremy Hunt is both welcome and justified. Such punishments belong in the dark ages. Yet for all its unacceptable barbarity, it is nevertheless a sign of how seriously they take the issue of drug harm. It also exposes how weak and patchy our policy and enforcement is. 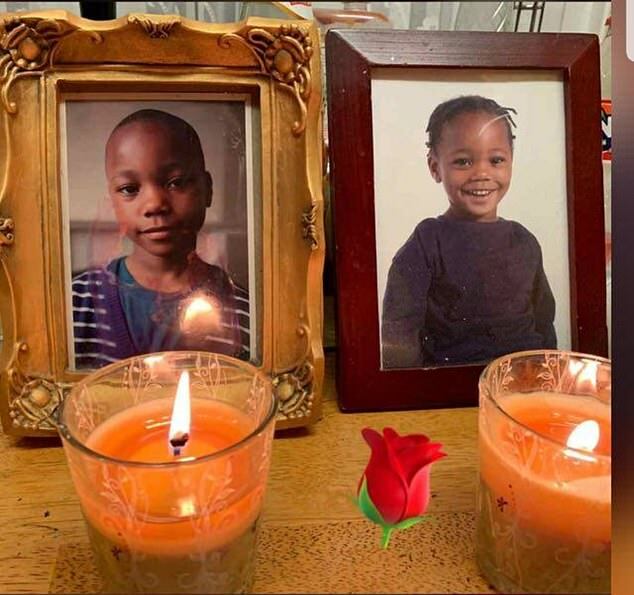 Indeed, the cold-blooded murder of Jayden Moodie, 14, was a reminder of the destruction and chaos permeating through our society. The Mail on Sunday’s revelation that judges are giving teenagers convicted of dealing Class A drugs a ‘slap on the wrist’ rather than serious custodial sentences, has exposed a major failing – one that fuels the mayhem which is turning swathes of our country into a gangster’s paradise. Young teenagers are being lured, then trapped, in gangs – and in some cases killed in cold blood on our streets. 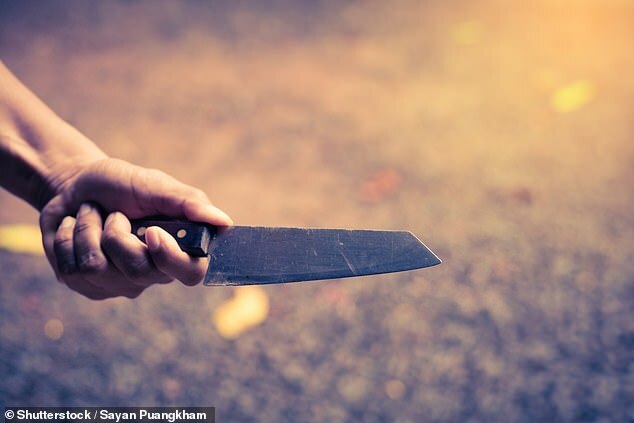 It is utterly reprehensible that Singapore uses such an outdated physical punishment, yet it must be kept in mind that teenagers are not stabbed to death on the streets of Singapore. Indeed, the city’s tough approach to crime and punishment has resulted in it being ranked as the second safest city in the world, after Tokyo. And, in many other cities with clear attitudes to drugs policy, like Singapore, far fewer teenagers are murdered on their streets. Other countries much closer to home, such as Sweden, show a zero tolerance approach focused on prevention and treatment, which we can learn from. And learn we must. Violent – and often drug-related – crime is back on the rise in the UK. Much of London’s knife epidemic last year, which saw the murder rate in the capital rise to its highest level for a decade, was linked to a rise in drug gang feuds. It is estimated that gangs are responsible for as much as half of all knife crime with injury, 60 per cent of shootings, and 29 per cent of reported child sexual exploitation. It is time that our approach to tackling violent crime changed. First, we need to sort out our policing. We must not be afraid to use ‘stop and search’ – however much controversy surrounds it. It is true that concerns about racism are often quoted to discredit stop and search based on flawed and inflated statistics. But what should be of far greater concern to its critics is that young people aged 15–24 who are non-white are on average six times more likely to be fatally shot or stabbed than young people of the same age who were white. These are devastating statistics. Combined with intelligence-led, community-focused policing, stop and search is a powerful weapon in fighting the scourge of knife crime. And communities want it. Polling of Londoners by the Centre for Social Justice last summer found support for the power at over 90 per cent, holding at more than two thirds even in non-white communities. But stop and search is not enough by itself. Our criminal justice system is one of the oldest and best in the world but it does not mean that we cannot improve significantly in the way that we deal with criminals. While there should be little appetite to imitate the barbaric sentence in Singapore, we also know that many of the cautions and fines meted out for minor drug offences here do not help. We must do more to reform what is often an ineffectual waste of time for courts, police, and offenders. One such idea, currently being investigated by the Centre for Social Justice – which I helped set up – is a practice used in Sweden; where the offender is given the choice of taking the criminal route or the rehabilitation route. For example, the use of a drug awareness course, akin to a speed awareness course. Those found with small amounts of cannabis would have to pay to spend time at an addiction treatment centre. It would give them a horrifying glimpse into the potential consequences of their actions. Vitally, we must get kids out of the clutches of gangs and into schools. Lastly, and most importantly, we must go right back to the root cause of much of this problem and grasp the nettle on a most thorny issue: family breakdown. For some reason, my colleagues in Parliament and the thinkers of Westminster are afraid to broach the issue of which Britain is world leading. Well, normal people aren’t. The scourge of fatherlessness underpins swathes of violent crime, as young men seek identity and belonging from gangs when they find none at home. And then, of course, we must amend sentencing policy, so that our courts take the matter seriously. We cannot continue with a situation where the police do their best to take criminals off our streets and yet are let down by the justice system handing out slaps on the wrist to serious offenders. Until our courts start giving out sentences that reflect the severity of the crime committed, more young blood will continue to be spilt on our streets. The brutal murder of Jayden last week highlights the crisis we face. Now is the time to act to take back control of our streets to save more young lives. The parents of a former public schoolboy facing a flogging and 20 years’ jail in Singapore have pleaded for the sentence to be overturned on the grounds of diminished responsibility. Ming, a former pupil at £37,000-a-year Westminster School, has been sentenced to 24 strokes of the cane for ‘repeat trafficking’. 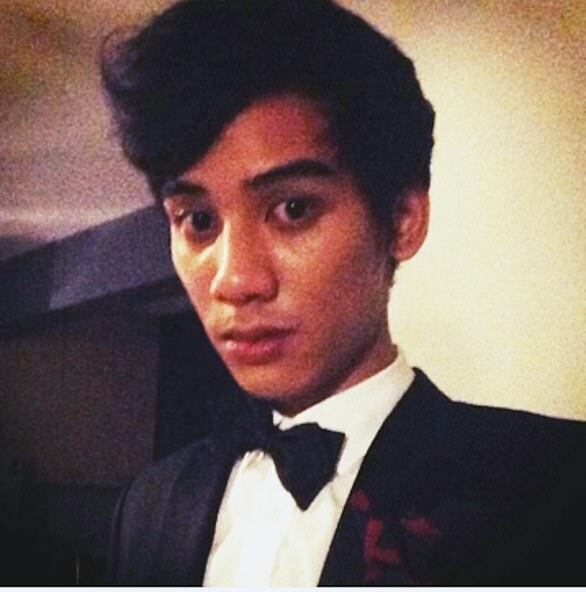 His father Alex Yuen, 70, said: ‘I think he turned to drugs because he was put under lots of pressure at private school. However he added that his son’s use of drugs did not begin until long after he had left the school. Last night, Mr Yuen spoke of his fears that his son might be violently assaulted in Changi prison. ‘If you asked me, would I be surprised if I received a message tomorrow, next month, that he has been found stabbed in prison, I would say of course not. It is surprising that he hasn’t been,’ he said. And the former top club DJ’s mother Melina Yuen added tearfully: ‘We didn’t even have the chance to say goodbye properly. There is no family support and he is so far away. ‘He puts on a very brave face but, as his mother, he speaks to me and I know how he feels. ‘Singapore refused me entry so I was not able to see my son out there in prison,’ said his father, a businessman. ‘He’s a really nice guy but he’s a fool. ‘The reason he got this monster sentence was because the prosecution tried to make out that he was unremorseful and had no respect for law. ‘Both Ming and I know that he committed an offence. He just can’t understand how he got such a long sentence.’ Ming has been convicted of several drug offences, including one of trafficking 69g of cannabis and another of 60g. He originally faced the death penalty but the capital charge was dropped because the net weight of drugs involved was below 500g. His punishment will be inflicted by a ‘trained caner’ taught how to cause the most pain possible. Ming will be stripped naked and strapped to a large wooden trestle, then his buttocks will be flogged 24 times with a 4ft-long rattan cane. The case has triggered a diplomatic rift between the UK and Singapore, which has some of the toughest drugs laws in the world. 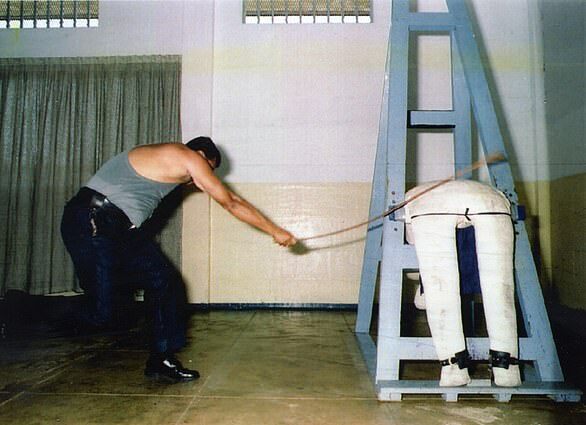 Foreign Secretary Jeremy Hunt and his officials made clear they ‘strongly oppose the use of corporal punishment’. The Foreign Office said it has been ‘assisting a British man and his family since his arrest in Singapore in 2016’. Soft sentences handed down by judges to drug dealers and violent criminals are driving the gang violence gripping Britain. A damning Government-funded report tells how young pushers and knife-wielding thugs are being let off with a ‘slap on the wrist’, sending the message that ‘the consequences of drug-dealing and violence are minimal’. lChildren are being sold addictive anti-anxiety drug Xanax to ‘calm their nerves’ before exams. lParents are urged to search their children’s bedrooms for knives. The findings have been sent to MPs by the Violence And Vulnerability Unit, set up to tackle the growing problem of ‘County Lines’ gangs who send young people to sell drugs in provincial towns. The report has been submitted to the Home Affairs Select Committee’s inquiry into serious violence, launched last year as fears grew of a Wild West Britain where stabbings, muggings and murders became commonplace across towns and cities. 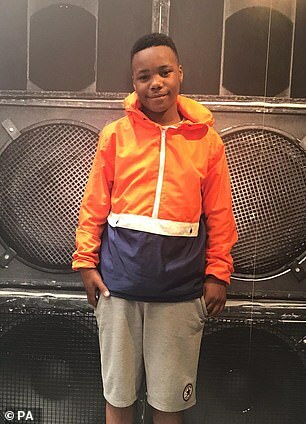 There were 134 homicides in London alone during 2018, making it the bloodiest year for a decade, and there have been another five victims since New Year, including 14-year-old Jayden Moodie. Last night, former Children’s Minister Tim Loughton, who sits on the committee, said: ‘We need to get serious about clamping down on County Lines, which means sending out a very clear message that there will be serious penalties for those caught up in this horrendous spiral of violence. The surge in violence has been linked to police numbers falling to their lowest level since 1981 after almost a decade of budget cuts. And a new pledge by Prisons Minister Rory Stewart to ban prison sentences of under six months will likely heighten concerns over soft sentencing. The report makes it plain that Britain is now being plagued by a ‘new type of criminality’ that links ‘street gangs, drug dealers and organised crime groups’ who are running an ‘extremely violent’ but ‘very lucrative’ business. And it warns there are widespread concerns about how the criminal justice system is handling the problem. It says Youth Offending Team (YOT) workers cite one 15-year-old caught with large quantities of Class A drugs – as many as 30 rocks of crack cocaine – who was being punished only for the lesser offence of possession rather than supply. The study goes on: ‘Regular offenders are not being given custodial sentences, a practice exacerbated by a lack of consistency in knife crime sentencing. The key element of the new criminality involves preying on vulnerable people. Dealers find new markets, then groom children as young as 14 to act as mules and ‘enslave’ them in a life of crime through debt. They particularly target teenagers who have been expelled from school and sent to Pupil Referral Units, which are now becoming ‘the area for gang rivalries’ and a ‘recruiting arena for crime’. Gang leaders even use apps such as ‘Find My iPhone’ to monitor the children working for them. Others use young people to launder money through their bank accounts. According to the researchers, one of the reasons for a rise in youth violence may be ‘ruthless and desperate’ teenagers committing robberies to pay off their debts. In this world, ‘carrying knives and dealing drugs is viewed as normal activity’ with stabbings seen as a way to send a warning, leading to ‘children carrying weapons for protection’. The violence is also fuelled by social media as gangs post music videos on YouTube to threaten rivals. After carrying out hundreds of interviews with youth workers and drug support groups, the team believe that more and more people around the UK are now taking crack cocaine and heroin, including women and younger people. The drugs gangs are using ‘price wars’ to control their markets, even offering ‘two-for-one’ deals and ‘prize raffles’ to win new customers. And middle-class children are increasingly using Xanax ‘to calm nerves before exams’ while the gang members themselves take it ‘prior to acts of violence’. In some areas including Brighton, the study says, middle-class children are targeted as the gangs become ‘more creative’ in their recruitment methods. Experts want the grooming of young people to sell drugs to be made a specific offence that ‘incurs stiff penalties’, while there should be more done to tackle older dealers driving expensive cars who recruit teenagers in the street. Even those who are put behind bars are able to carry on ‘operating their lines’ because of the ‘freely available supply of mobile phones inside prison’, and when rival gangs are housed in the same jail their feuds only become more violent. The report also warns that social workers struggle to protect teenagers caught up in ‘debt enslavement and entrapment’ because the system is designed only to protect children neglected or abused by their families. It says that one YOT worker ‘had to fight for a case of a child who had a gun to be accepted as neglect’. In addition, it can be difficult to get families to help ‘when money from County Lines activities might be paying household bills’. The report says that in some areas parents are being taught ‘how to look for weapons and drugs’ and even telling them ‘how to carry out daily searches’. Evidence obtained by The Mail on Sunday backs up the unit’s suspicion that young drug dealers are being spared jail. A snapshot of court cases from the past year revealed at least 15 examples of judges handing out suspended sentences to teenagers and young adults convicted of possession with intent to supply, which could yield a seven-year jail term. The number of convictions for drug offences dropped from 82,561 in 2008 to 65,677 last year, according to Ministry of Justice data. And for the specific offence of possession with intent to supply, only 6,947 of the 13,186 people convicted in 2017 received an immediate custodial sentence. Overall, the number of children entering the criminal justice system has fallen by a staggering 85 per cent over the past decade and the number being locked up has dropped by 74 per cent – even as the number committing knife crimes has rocketed. Last night, Liberal Democrat Home Affairs spokesman Ed Davey said: ‘When young people are arrested in their early teens, the alarm bells should be ringing.